Volz Servos is an expert manufacturer of electro-mechanical actuators for robotics, unmanned vehicles and many other applications. We have harnessed over 30 years of experience to create a product line that meets a wide range of operational requirements, providing value without compromising on quality and featuring state-of-the-art actuator technology. In addition to providing off-the-shelf products, we can also develop a custom actuator solution to your exact requirements. The DA 26-D actuator is designed for applications where reliability is of the utmost importance. Its two-channel redundant design means that the actuator can continue to operate even after one channel has failed. The actuator incorporates a three-channel position sensor, as well as several diagnostic sensors that provide continuous information on current consumption, supply voltage levels and temperature readings. Data can be read out via the integrated serial RS-485 interface. 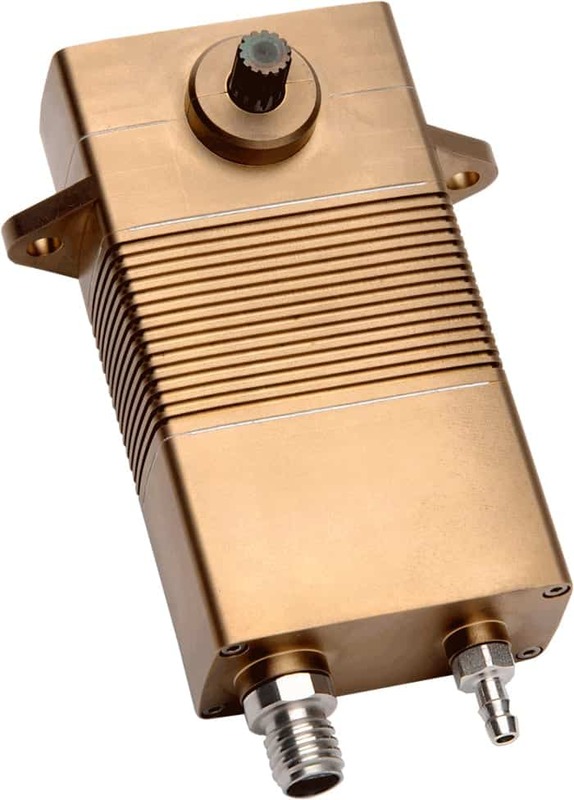 The DA 26-D actuator provides a peak torque of 12 Nm with a 28V supply, and 4 Nm in degraded (1-channel) mode. The DA 15‐N is our smallest and lightest full brushless actuator, designed for use in harsh environments and tested for over 4000 hours. With a brushless motor and contactless position sensing system, the DA 15‐N greatly diminishes electromagnetic noise and is immune to wear, vibrations and shock. The HART‐coat treated aluminum housing is saltwater‐resistant and is IP‐67 rated for water and dust protection. The DA 15-N actuator provides a peak torque of up to 60 Ncm at 6-16V. 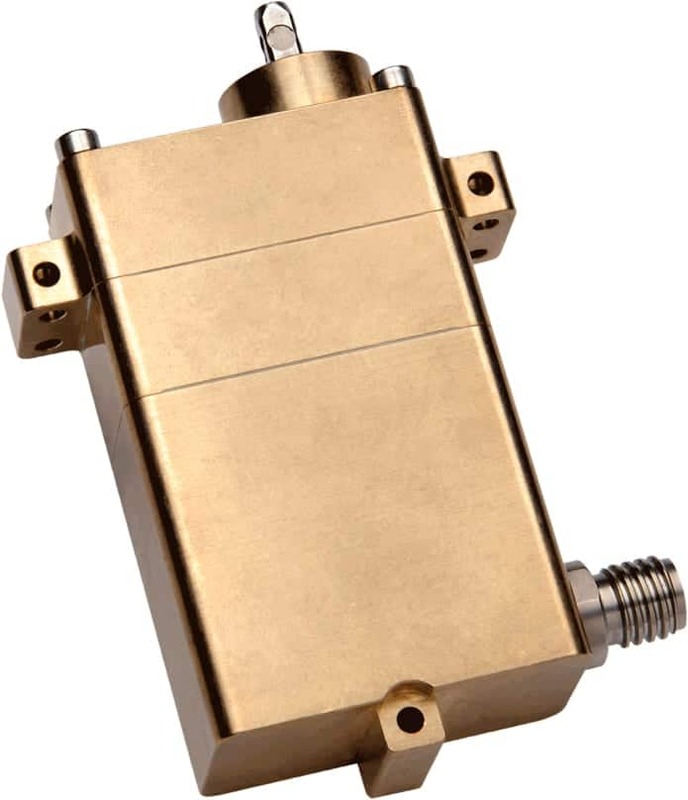 Our 30mm class of actuators features a brushless motor and a contactless position sensor for maximum service life and reduction of electromagnetic emissions. The HART‐coat treated aluminum housing is saltwater‐resistant and is IP‐67 rated for water and dust protection. Diagnostic information such as motor and electronic board temperature, internal humidity, current consumption and supply voltage levels can be read using the RS 485 interface. 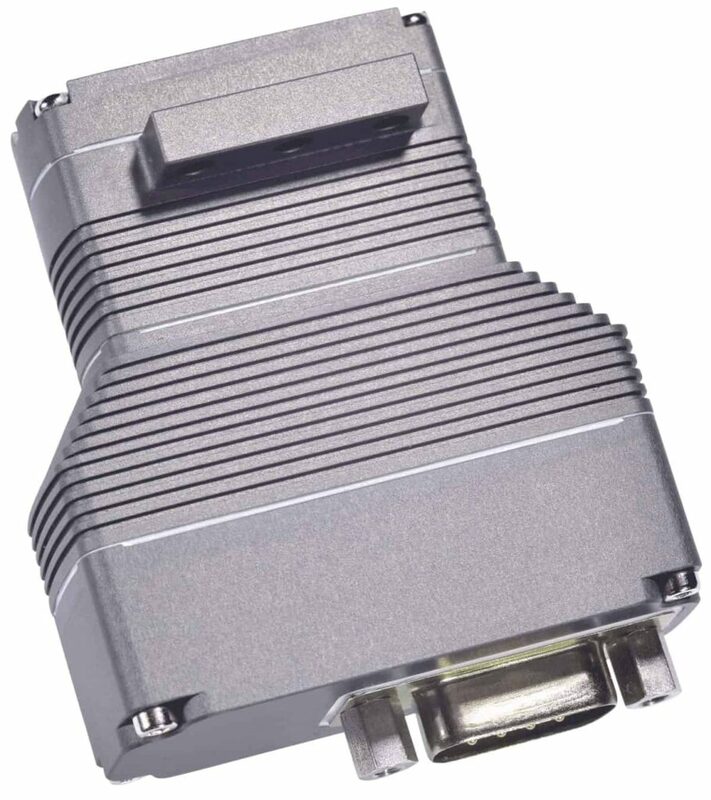 There are several communication interface options available: opto‐coupler PWM, TTL PWM, serial RS-422, or RS-485 with 2-wire, 4-wire and redundant RS 485. 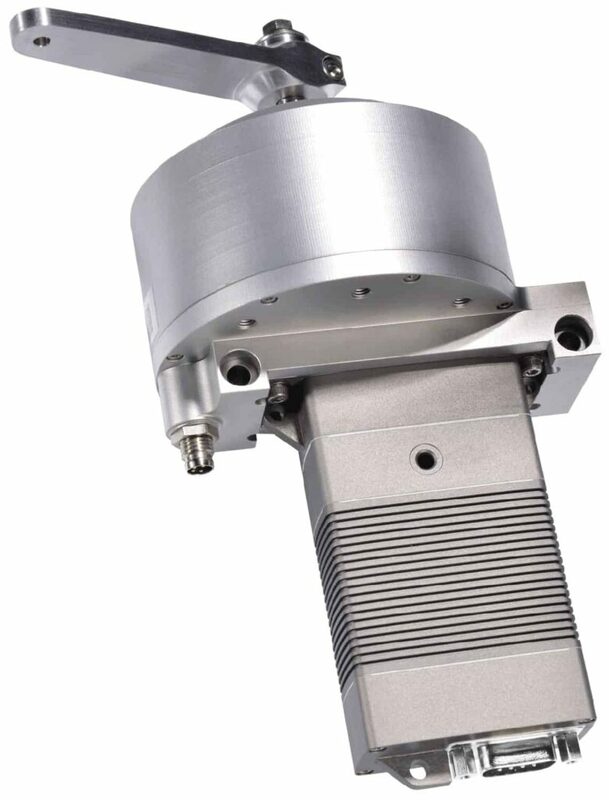 The DA 30 actuators provide a peak torque of 16 Nm at 28V. 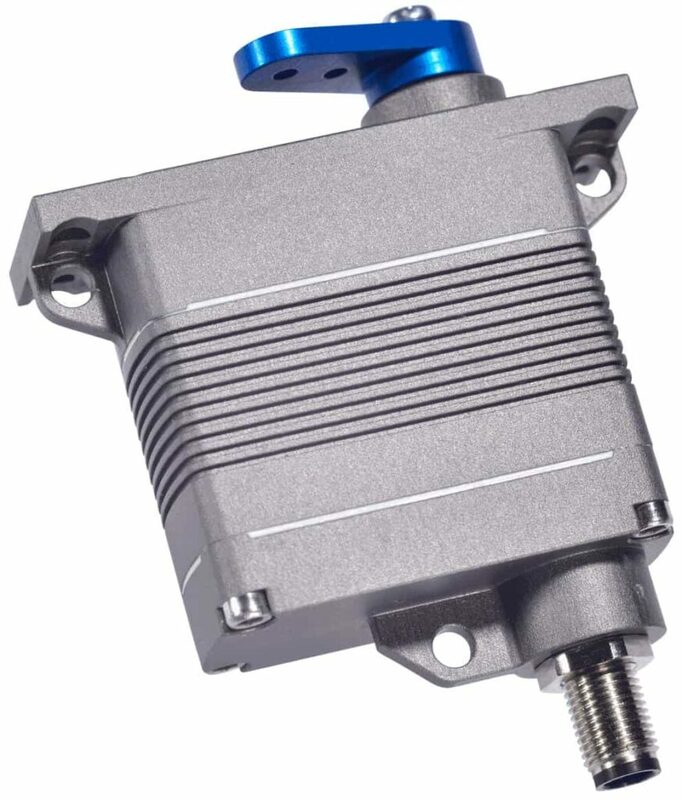 The DA 20-TS throttle servo is a fully programmable, compact fly-by-wire actuator for direct installation on the throttle valve shaft of a combustion engine. It is IP-67 rated, immune to shock and vibration and designed for use at high temperatures. The RS-485 digital serial command interface can be used to monitor the shaft position as well as diagnostic information such as the supply voltage, the current consumption, and the temperature of the electronics. The DA 20-TS provides a peak torque of 30 Ncm at 28V. 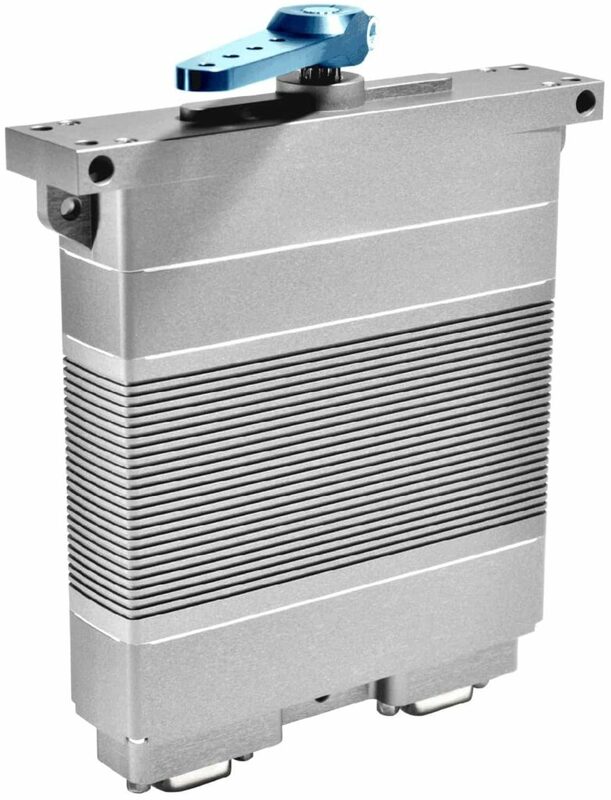 Volz can provide actuators with electromagnetic clutches for Optional Piloted Vehicle (OPV) applications. In the event of an actuator failure, the clutch can be disengaged and the actuator output shaft can be freely moved, allowing the pilot to control the vehicle. We have developed several specialized actuators for submersible applications (AUVs, UUVs, ROVs). Every actuator is tested in our test lab for six hours in a pressure tank under a variety of atmospheric pressures. The DA 22-SUB is CNC machined from marine bronze and is waterproof down to a depth of 100 meters (10 bar / 145 psi). Capabilities include analog position feedback and an integrated moisture and temperature sensor. The DA 26R-30-5024 is designed for extreme depth and pressure conditions, and has already been deployed in the field down to 2000m/6600ft. A 90° angled, self-locking output drive provides constant positioning under load. Housing options include saltwater-resistant aluminum or CNC-machined marine bronze. 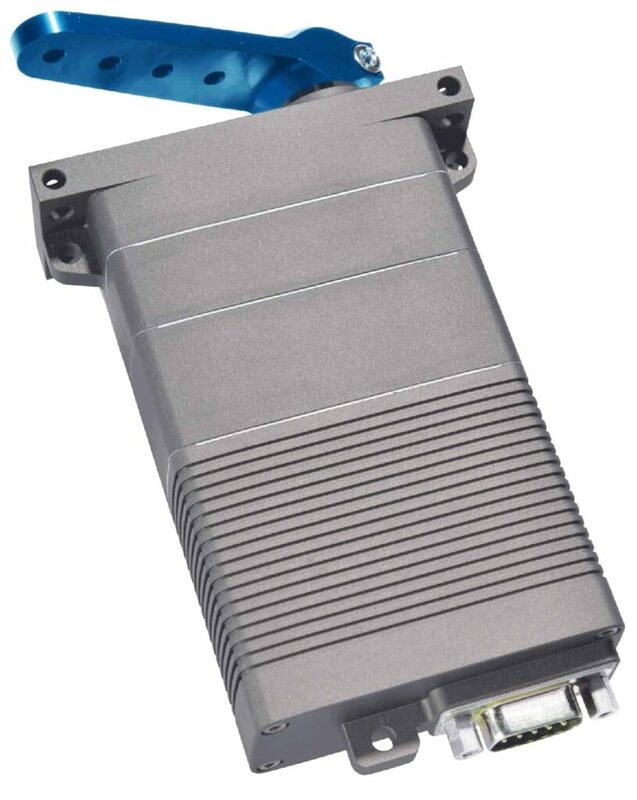 Communications can be provided via opto-coupler PWM, RS-422 PWM or digital RS-485 options. By submitting this form, you consent for your details to be sent to Volz Servos and its authorized partners in order to respond to your inquiry. Depending on the location of the organization, your personal information may be transferred and processed outside of the European Economic Area.